The truth is that if they teach history properly without government propaganda in schools, we would have discovered this simple fact a long time ago, and perhaps find ways to dismantle this British enterprise with minimal violence. What they mildly refer to as "colonialism", is simply, the most brutal form of pillaging, looting, and suppression of rights ever witnessed by humanity. Colonialism in Africa was advanced by sheer genocide and ethnic cleansing. Hamlets, villages and towns that resisted British rule were visited with British fire and fury. Men and baby boys were executed without mercy, women were raped and various African carvings and traditional symbols were carted off to Europe and dumped in British museums. African lands were Annexed and expropriated by the British crown Without consultation nor compensation. Truth is Atiku Abubakar isn't the only non-Nigerian. None of us was a Nigerian until 1914. Even as at that many communities resented the Nigerian identity and fought against it until 1930s and 1940s. 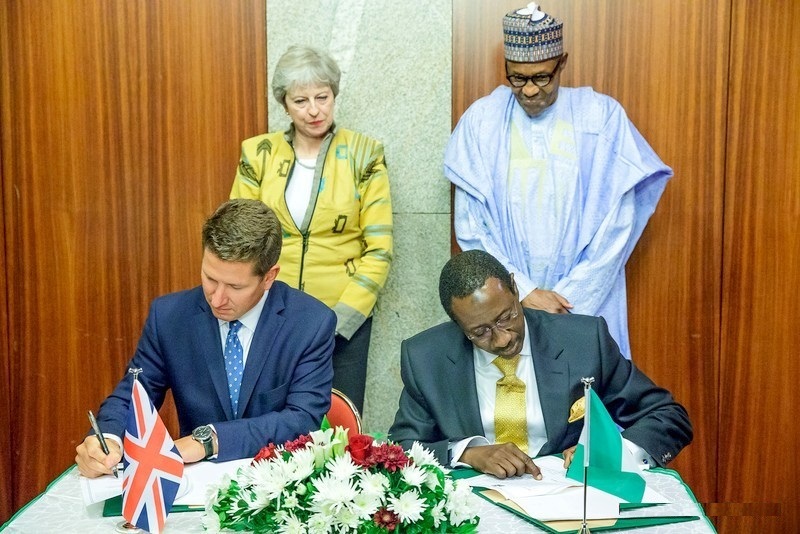 Many of the ethnic groups that make up Nigeria has to be defeated and forced accept British protection. That was why they were called PROTECTORATES. The British had to conduct ethnic cleansing to bring indigenous tribes into their protection and subsequently create NIGERIA. It became necessary to create this "Areas of Protection" because after the Berlin Conference of 1884/85, Europeans decided that instead of fighting war amongst themselves because of colonies in Africa, each European country should provide sufficient proof that a certain territory belongs to them, Hence the Scramble for territories and Areas of protection began. In Eastern Nigeria, the task was even harder because the people resented any form of centralized power. The British had to engage in systemic massacres community by Community village by village before they could annex the area as a British protectorate. the Mbaise people said that the defeat of the Aro by the British doesn't apply to them. They waged war against the British from 1902 until 1917 (three years after the so called Amalgamation). To prove their point, the first warrant chief the British tried to impose on the Mbaise people, a certain Chief Nwogu was murdered by the people. In essence, British rule over the territory they'd call Nigeria later was imposed via wanton bloodshed. After each massacre and subsequent British annexation, Christian missionaries moved in to soothe the anger of the people by preaching the gospel of Forgiveness and "Turn the other cheek" message, while also offering them the "Heavenly Jerusalem" palliative. Forget all these their noise about who's a Nigerian and who's not. They don't even see themselves as Nigerians. Why would they invite their brothers from Niger Republic and Chad for APC campaign rallies? You think they don't know what that Are ready doing? Why are they mining gold and remitting the money unto themselves, but you don't even have ordinary PMS to fuel ur car? And they are incharge of NNPC abi, they Didn't even care about appointing a petroleum minister. It's only southerners Ndi OKe amamihe, that thinks they went to school more than everyone, that Will always carry one Nigeria on their head like a heavy load...And the load keeps suppressing their growth.